A new generation of Norwegian jazz musicians have become established as internationally renowned artists. The response from live audiences, critics and leading international music magazines alike has been tremendous. Karin Krog, Jan Garbarek, Arild Andersen and Terje Rypdal have been big international names since the 60s. Now musicians such as Nils Petter Molvær, Arve Henriksen, Sidsel Endresen, Mathias Eick and Bugge Wesseltoft are following suit. So too are an increasing number of newcomers to the scene. A well-established infrastructure has made it possible to unite forces and develop this trend further. 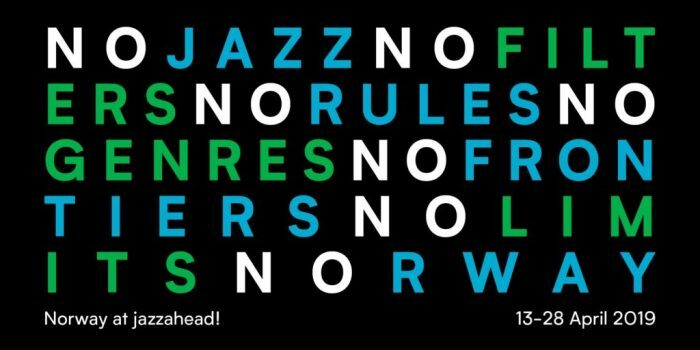 The Norwegian Jazz Launch started up in 2004 as a three-year programme to help Norwegian artists with international ambitions and potential to meet a broader international audience. The programme is now in its fourth period, and promoting a new set of artists. It is seeking to build further on the excellent reputation that Norwegian improvised music has attained internationally, and its activities include providing financial support for travel expenses, marketing, and arranging bookings with key international jazz clubs and festivals. The West Norway Jazz Centre and the Norwegian Jazz Forum are both involved in the programme, which also receives financial support from the Norwegian Ministry of Foreign Affairs. Arve Henriksen and Paal Nilssen-Love were the first two artists to be promoted by the Norwegian Jazz Launch. Since then it has enabled Eldbjørg Raknes, Morten Qvenild, Helge Lien, Håkon Kornstad, Stian Westerhus and Frøy Aagre to launch various projects. Established artists too, like Nils Petter Molvær, Bugge Wesseltoft and Sidsel Endresen, have received assistance. 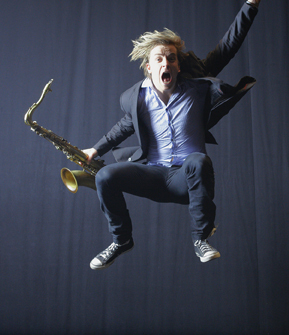 The 2013 programme is providing support for saxophonists Marius Neset and Karl Seglem, bassist Mats Eilertsen and the band Elephant9. These artists and many more are currently establishing Norwegian jazz internationally as a top quality brand. To hear Elephant9 live is to experience one of Norway’s most formidable live acts in any genre. The trio’s brand of high-octane progressive neo-psychedelic jazz-rock combined with outstanding musicianship have won acclaim from critics and audiences across Europe, and their four albums have received high praise in the leading international press including Mojo, Uncut, Down Beat, Prog, Rock-a Rolla and Q amongst others. Ståle Storløkken (hammond organ, Fender Rhodes, synth) is widely considered to be the most inventive keyboard player from the fertile Norwegian jazz scene, his playing with bands like Supersilent, Humcrush, Motorpsycho, Terje Rypdal and countless others being firm testament to this. Nikolai Eilertsen (electric bass) was first known to the Norwegian public through his playing with popular rock group Big Bang and later chart-topping pop group The National Bank. Torstein Lofthus (drums) is one of Norway’s most respected drummers whose energetic and versatile approach has made him constantly in demand for session work as well as playing in jazz, soul and rock bands, most notably blackjazzers Shining. Elephant9 released their debut album ‘Dodovoodoo’ in 2008, and followed that up with ‘Walk the Nile’ in 2010, both on the Rune Grammofon label. Walk the Nile was awarded Spellemannprisen 2010 (Norwegian Grammy), and has drawn considerable praise from both the jazz and rock communities worldwide. On their fourth album, ‘Atlantis’, Elephant9 join forces with Reine Fiske, the Swedish prog-rock guitar veteran. Writers have compared them with names like Tony William’s Lifetime, Deep Purple, Brian Auger, Emerson Lake & Palmer and early seventies Miles Davis to describe the music, all testament to the fact that Elephant9 are neither rock nor jazz but take these genres and more to another level. Karl Seglem is unique in Norway’s music scene, an outstanding tenor saxophonist, goat horn player, composer, producer and poet. He is unquestionably one of the great innovators and visionaries of Norwegian music, reinvigorating both jazz and traditional genres with his unswerving will to fuse expressions, pursue crossover ventures and embrace new instruments, sounds and perspectives. He has contributed so much to the Norwegian jazz scene since the 1980s, not just with his superb tenor sax playing, but with his use of goat horns, his work with Hardanger fiddle players and other traditional musicians. He is simply one of Norway’s finest musical ambassadors. While Karl is one of Norway’s foremost instrumentalists, he is important for the Norwegian scene also for the work he has done as a composer developing new contemporary forms on the basis of jazz-, folk- and world music. He has also been instrumental to the growth of cross-over expressions and projects as a producer and record label manager for NORCD (since 1991). He is widely admired for his generosity in supporting younger musicians, guiding and promoting them, bringing his own characteristic sensitivity to every project he works with. National and international renown has grown steadily and not least his four latest solo releases ‘Femstein’, ‘Urbs’, ‘Ossicles’ and ‘NORSKjazz.no’ have captivated both national and international critics and audiences. Among prizes and awards Karl Seglem received the highest order in Norwegian Jazz in 2010: The Buddy-award. Karl will release a new album with his acoustic jazz quartet in September 2013 – and do a major tour in Germany and Norway. When saxophonist Marius Neset released ‘Golden Xplosion’ in April 2011 the title was to prove more than appropriate for a musician who swiftly became one of the most talked about newcomers on the European jazz scene in recent years. It opened the doors to festival appearances around Europe and tours in the US. Just 25 years old, Marius was described by Terje Mosnes in Norway’s ‘Dagbladet’ as “the most talented Norwegian saxophonist since Jan Garbarek in the 1960s”. But he was hailed as more than just a player, critics were quick to comment on the maturity in both his writing and playing, combined with the extraordinary energy and commitment he puts into every performance. ‘Golden Xplosion’ demonstrated Neset’s exemplary technique, energetic creativity, imagination and virtuosity on tenor and soprano saxophones, as well as his brilliance as a composer of intricate, compelling music. The album was ranked at third place on Jazzwise’ “Albums of the year 2011”. In July 2011, Neset won the prestigious JazZtipendiat Prize, awarded to a musician of outstanding capabilities. This substantial monetary award was used to create new music with the Trondheim Jazz Orchestra that was performed at Molde Jazz Festival in 2012. His new album ‘Birds’ (March 2013) sees Marius taking further enormous strides as performer, bandleader and composer, his original voice shining through the journey of compositions each with their own distinctive character. Mats Eilertsen is one of the most distinctive musicians on the Nordic jazz scene. An outstanding bass player, composer and bandleader, his performances are emotionally powerful and he combines the brilliance of a true soloist with the sensitivity and generosity of the best of team players. He has recently released his second trio album, ‘Sails Set,’ on the HUBRO label and it is the seventh album Mats has released under his own name. Eilertsen’s focus in 2013 is his trio (with pianist Harmen Fraanje and drummer Thomas Strønen) and Mats Eilertsen SkyDive (his quintet with Tore Brunborg, Thomas T. Dahl, Olavi Louhivuori and Alexi Tuomarila). ‘Sails Set’ offers exclusively improvised material, relatively short and often melodic pieces in solo, duo or trio format. “Our goal has been to create improvised tunes, sounds and situations that could equally well have been composed and produced,” says Eilertsen. The album asserts its subdued and sometimes understated qualities with the resonance of piano, bells and gongs, or in the lower registers of the bass and percussion instruments. ‘Sails Set’ follows ‘SkyDive’ (2011). Eilertsen’s quartet has grown into a quintet since the release of the highly praised 2009 album ‘Radio Yonder’. Mats has found the perfect quintet to play his melodious, intricate and organic music which is infused with intense beauty and fluid virtuosity. All the material is composed by Mats and, as always his music is melodic, dynamic and richly lyrical. Eilertsen is a very active and productive musician, and has over the years appeared on albums by ECM-associated bands the Source, Wolfert Brederode Quartet and Tord Gustavsen Ensemble, as well as Håkon Kornstad, Food, Solveig Slettahjell and Håvard Wiik Trio.